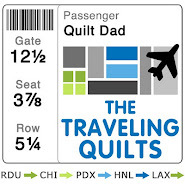 Quilt Dad: 11 hours left to support a fellow quilter! 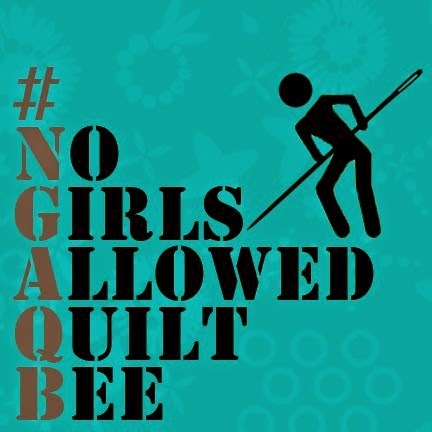 11 hours left to support a fellow quilter! First, thanks so much for all of your generous comments and nice words regarding my announcement of the Fat Quarterly book. It's truly an exciting time and I appreciate all of your support. Quilt Dad readers are THE BEST! Today, I am happy to give a big plug for an amazing sewist, quilter, and craftsperson. Many of you may be familiar with Alexia Abegg, who blogs at Craftopia. And if you don't, you should. Her work is amazing and I have drawn much inspiration from her beautiful creations. I've also been fortunate enough to meet her at Quilt Market, and she is as sweet as she is talented. So many of us dream of how we can turn our creative passions into a career. Well, Alexia has taken the proverbial bull by the horns. She submitted a proposal to Kickstarter to raise funds to get her pattern business, Green Bee Pattern Co., off of the ground, and she was accepted! She's nearly reached her goal but, with only a few hours left, she needs some help. So, my plea today is this: help a fellow member of our vibrant sewing & quilting community realize her dream. Consider checking out Alexia's Kickstarter page and learn more about what she is trying to do. Let's demonstrate how we continue to support one another. Thanks, all ... and good luck, Alexia! I just donated to the cause, posted on FB and I am going to copy part of your Blog Post (I'd formally ask permission, but there's not much time... Hope you don't mind) and post on my blog for a few hours. She is down to 6 hours and $313!